*To mark the end of the summer, MTV’s 24-hour urban channel, MTV Jams, will feature a three-day marathon of “Yo! 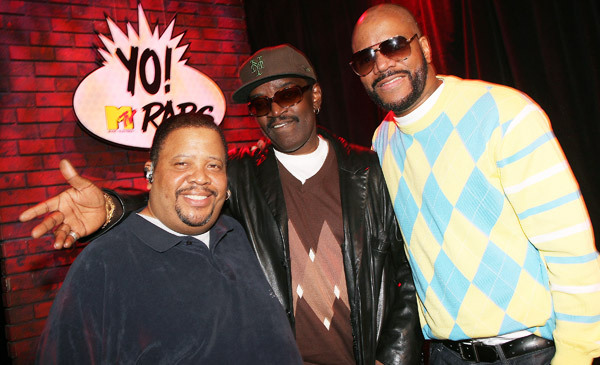 MTV Raps,” kicking off Saturday, Aug. 31 at 6 a.m. ET/PT. The weekend will include a new countdown of the 100 most played music videos during the “Yo! MTV Raps” era (1988-1995) and will feature retro favorites from artists including Jay Z, Dr. Dre, LL Cool J, 2 Pac, N.W.A. and more. Throughout the countdown, MTV will air some of the series most memorable moments and interviews including the Big Daddy Kane freestyle and the Grammy boycott. To provide younger viewers context into the groundbreaking series, the weekend will also include three separate documentaries. On Sunday at 9am ET/PT (and repeating throughout the day), MTV Jams will debut “VH1 Rock Docs: YO! The Story of YO! MTV Raps”, which takes a look back at television’s first show completely dedicated to hip hop and highlights how the series became a phenomenon that merged together the music and culture of the genre from the inner cities to the mainstream. “40 Great Yo! MTV Raps Moments”, which originally debuted on VH1, will air on Sunday, September 1 at 11am ET/PT (repeating throughout the day) and feature the most memorable moments from the series. Hosted by Ed Lover and Doctor Dre (former Yo! personalities) and comedians including Sherrod Small, the show digs into the annals of rap history. On the heels of a recently released Stüssy/Yo! MTV Raps t-shirt (available Stussy Stores and Zumiez) that celebrates the series, Stüssy produced a two-part documentary entitled “We Were All Watching. Part 1, The Importance of Yo! MTV Raps,” that takes a look at the history of MTV’s groundbreaking music program, and Part 2, “Fashion in the Golden Age of Hip Hop” that examines the trends, styles and influence Hip Hop has had over the years. The two-part documentary will air Sunday at 1pm ET/PT (and repeat throughout the day).